UPDATED: Tue., Dec. 18, 2018, 9:53 p.m. 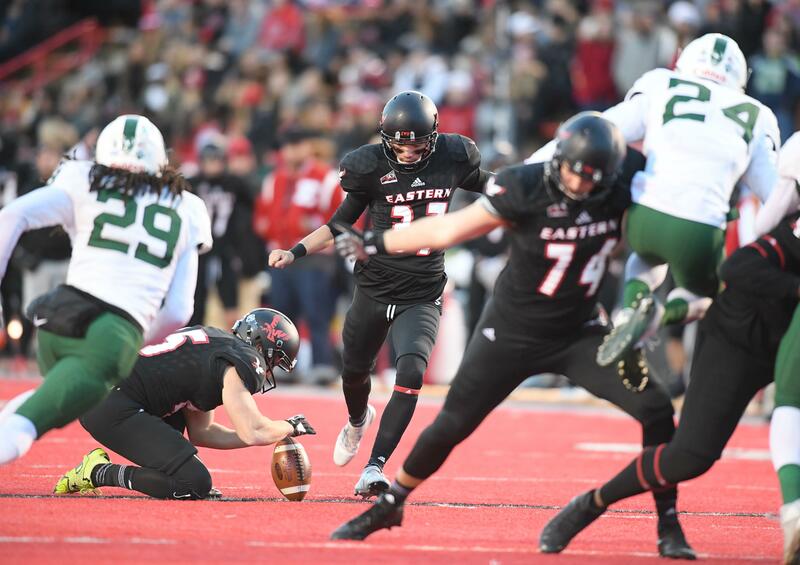 Honors continue to roll in for Eastern Washington kicker Roldan Alcobendas, nose tackle Jay-Tee Tiuli and center Spencer Blackburn. A week after being named Associated Press FCS All-Americans, all were named to the STATS FCS All-American team. Alcobendas, named the best non-FBS kicker in the country when he won the Fred Mitchell Award last week, was a STATS first-team selection. He’s 15 for 15 on field goals this season. Tiuli, the Big Sky Conference Defensive Player of the Year, was a STATS second-team selection. Blackburn, a second-team AP All-American and second-team All-Big Sky selection, was named to the STATS third team. EWU (12-2) will face top-ranked North Dakota State (14-0) in the FCS national title game Jan. 5 at Toyota Stadium in Frisco, Texas. Idaho punter and Lakeland High graduate Cade Coffey was also named to the STATS second team. Coffey averaged 44.1 yards per punt to rank fifth in the FCS. Published: Dec. 18, 2018, 9 p.m. Updated: Dec. 18, 2018, 9:53 p.m.